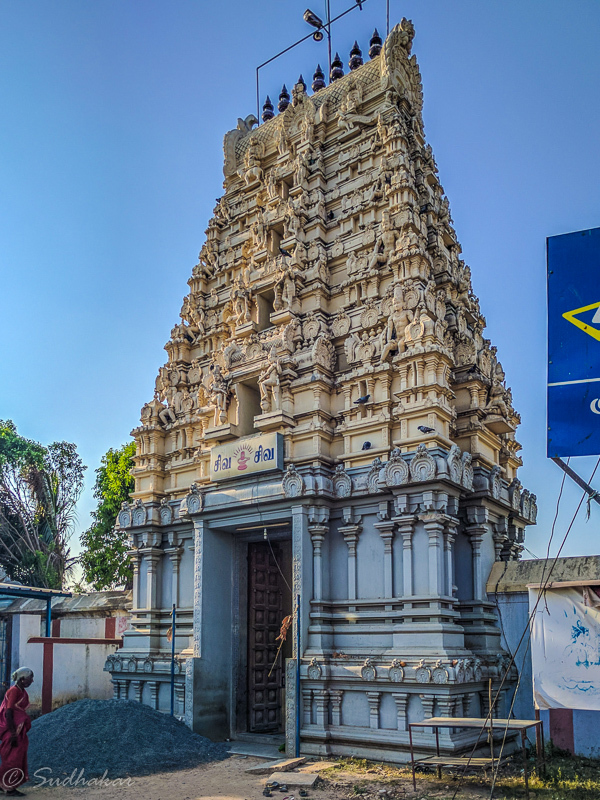 Sri Pushparatheswarar temple at the Gnayiru village is is one of the navagraha temples around chennai dedicated to Lord Sun (Suriyan) and the prime deity here is Lord Shiva and is situated at a distance of about 15 km beyond Red Hills outskirts of Chennai, Tamil Nadu. The temple is praised by Sekkizhar and is one of the Paadal Petra Sthalams. This is one of the 'Pancha Baskara Sthalams' and revered as the prime among them. The legend behind the temple is that once Sun was cursed by Lord Brahma. 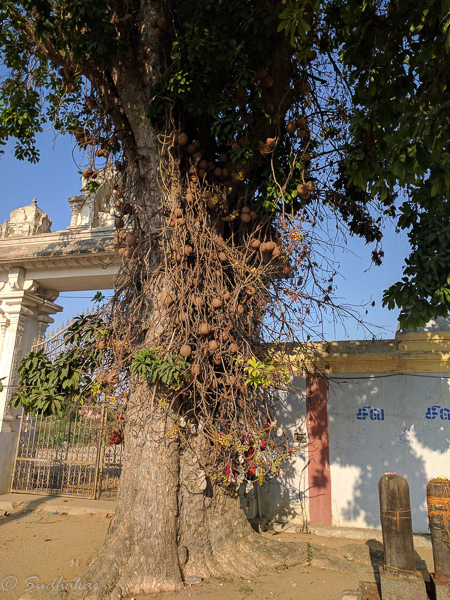 To get rid of the curse Suriya performed a penance here by bathing at the pond here and performing pooja to Lord Shiva and Goddess Swarnambikai with red lotus flowers. Lord Shiva along with his consort Swatrnambigai appeared before Suriya and blessed him.It is beleived that every Tamil year Lord Suriya in the form rays fall on Lord and Mother during the first 7 days of the tamil New Year (April). There is a seperate sannidhi for Lord Sun in front of the sannidhi of Lord Pushparatheswarar. 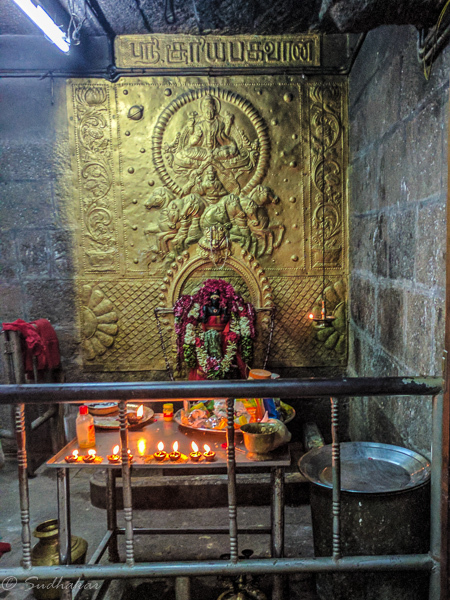 The Moolavar of this sthalam is Sri Pushparatheswarar. The Ambal in this sthalam is Swarnambigai . How to reach?It is easily reached if you drive your car, on Srikakulam Highway towards Redhills and then outer ring road. There are buses from Red Hills but not very frequent. Share autos are available from Redhills. Where to Eat?There are no big restaurants here. You can reach Red Hills or Chennai for lunch / dinner. Other importanat places around this templePancheshti Sri Agatheeswarar temple dedicated to Lord shiva.